The music of Ralph Vaughan Williams ranges far beyond the folksy and the pastoral. The hidden story of his long affair with Ursula Wood reveals a composer of enormous energy and passion, and opens the way to a reappraisal of his music. 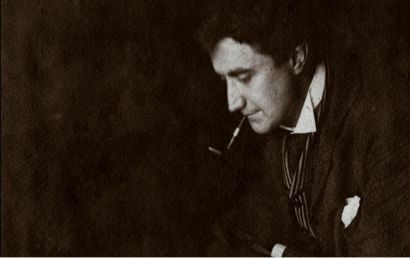 This psychological profile of Vaughan Williams contains specially-filmed performances of his work by the Philharmonia Orchestra, conducted by the late Richard Hickox, with Rachel Roberts (viola) and Alistair Mackie (trumpet). It also features Schola Cantorum of Oxford, conducted by James Burton, and Ruth Peel (mezzo soprano) and David Owen Norris (pianoforte). Contributors include: Michael Kennedy, Anthony Payne, Christopher Finzi, Simona Pakenham, Hugh Cobbe, Robert Tear, Miles Vaughan Williams, Nicola LeFanu, Byron Adams and Jeremy Dale Roberts. The film is a co-production between Crux Productions and Firefly (now Dragonfly Productions), 1 x 90’.